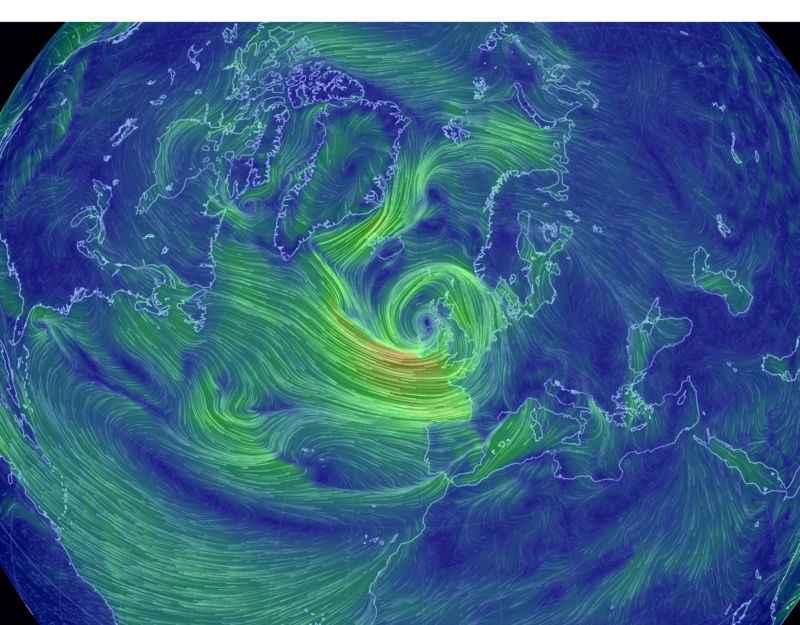 The storm heading in the UK is really wound up. The OSU Polarmet model portrays it as a 940 mb low pressure center February 8, 2014 at 0600 GMT. This pressure gradient is very visible on the magicseaweed.com global surface level pressure image for Feb 7 2014. The winds and surface pressures produce significant swell and waves that are forecast to have major sea heights of up to 44 feet offshore in the North Atlantic for 020814 0000Z. The Earth Wind surface wind map for Feb 7 2014 is also very impressive, with the wind being drawn across the Atlantic into the storm center. 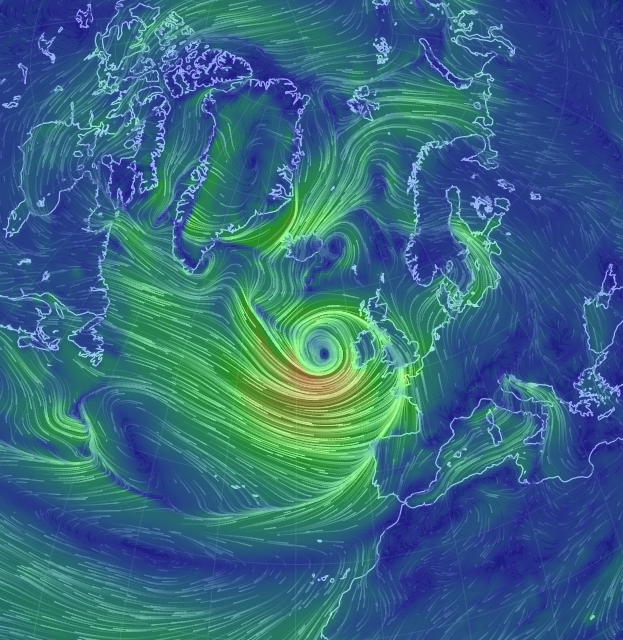 The center point moves over the UK on Feb 8 2014, while the surface wind speeds drop due to interaction with land, yet the UK forecast is for 80 mph winds in some areas. 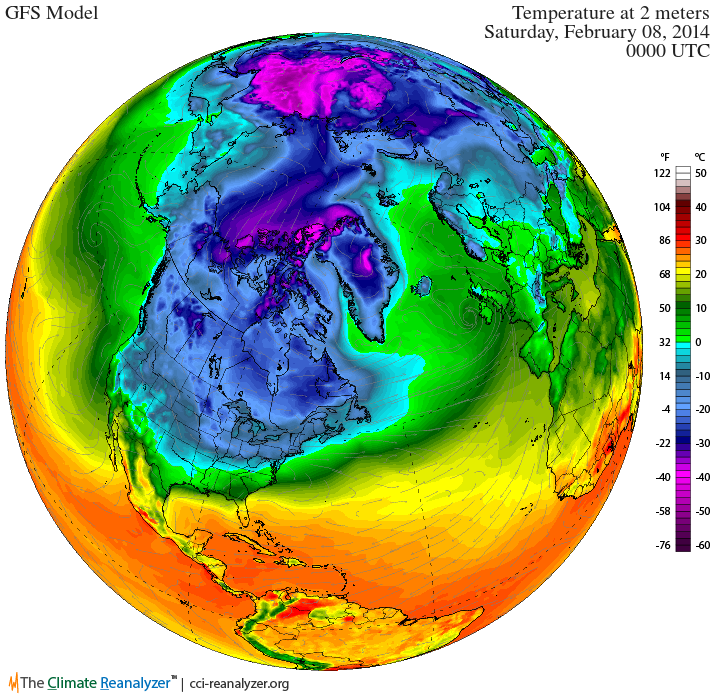 The GFS model actual forecast for February 8 2014, shows the Siberian cold still streaming across the CAB into the Canadian Arctic and impacting anomalies all the way into the U.S. 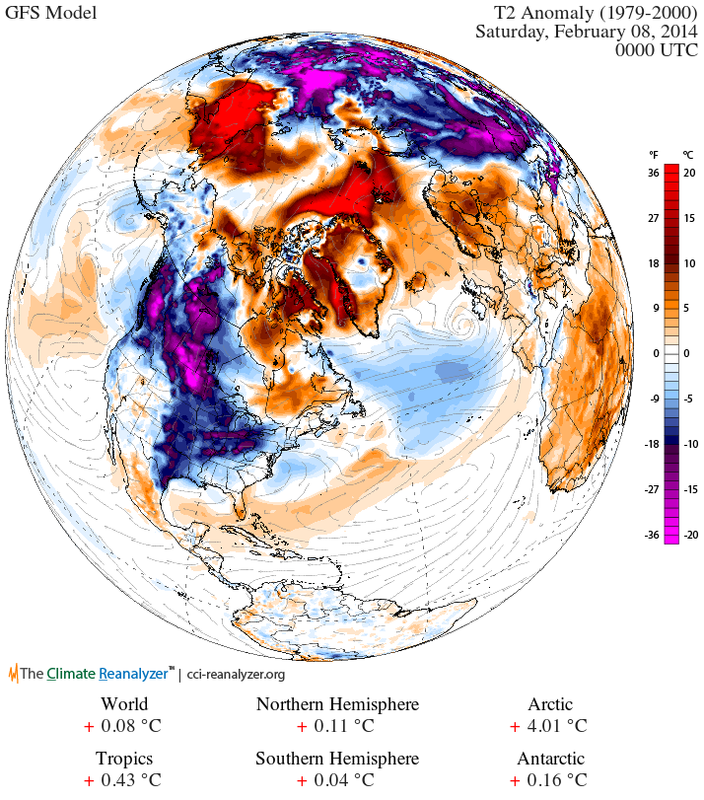 Note the warmer are flow from the Bering into eastern Siberia, an airflow that is perhaps curtailing the growth of Arctic sea ice in the area. The Arctic is still warmer overall, with a 4C anomaly for this date. It is likely that the UK will continue to experience these storms as long as the jet stream and steering currents create this very strong flow across the Atlantic. Here is the current Climate Reanalyzer 250 mb jet stream. 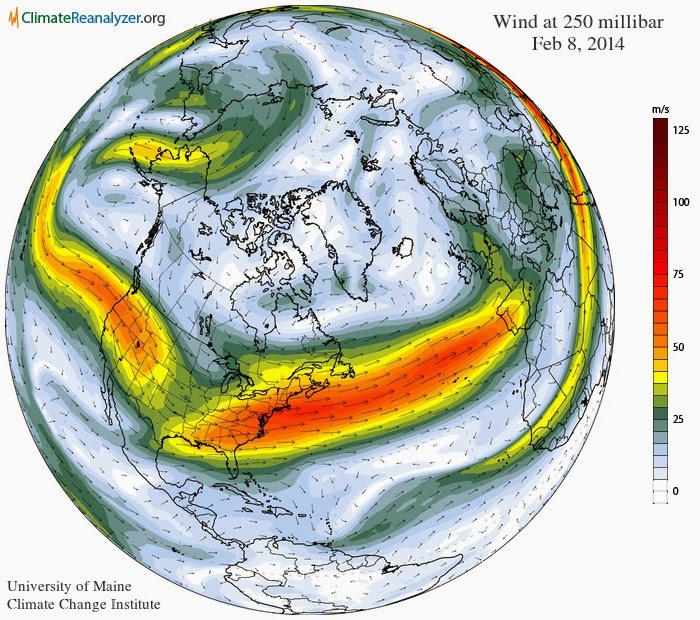 More on steering currents and the jet stream mangle in the next post.